Discovered THE ESCAPIST Yet? Discover & Win! Discover worlds within worlds. Whether you’re a young adult that loves YA fiction or an adult addicted to YA reads (heck yes, I’m the latter!) you’re going to love my recent discovery – the ultimate Facebook Page that not only has all the latest and greatest on young adult fiction, you can also win the hottest YA books as they hit the bookshelves, receive insider info on upcoming ‘book to movie’ releases, get an insight into your fave authors and much, MUCH more. I was so excited when I discovered this fab FB page, I just had to share it with you! 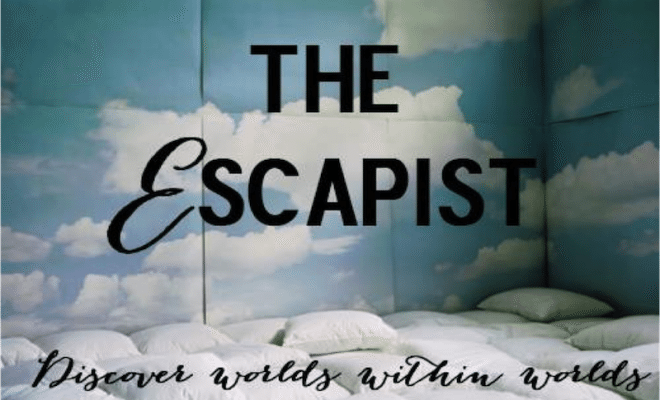 Introducing THE ESCAPIST on FACEBOOK – your ‘Young Adult fiction insider’. Enter a world that is ‘the ultimate escape’ via HarperCollins’ Publishers. Yes, I’m an adult addicted to YA fiction. Come on, who doesn’t love fantastic reads such as the Divergent series?! Never read a Twilight novel? [see: been living under a rock]. Not yet entered the magical world of Spellcaster? How about The Hunger Games? Well, if you haven’t read any of these books [see: probably lied if you said no] you’re seriously missing out! I read a myriad of books and follow many different authors. I love autobiographies, fashion & beauty related reads, true crime, mystery and thriller novels, but for the ultimate escapism, to enter a world totally different to anything I will ever experience in my lifetime, I love a good YA series. Afterall, reading is the best form of escapism, and who better than a YA insider, such as The Escapist, to keep you informed of on all things ‘young adult fiction’. Head over to The Escapist on Facebook, hit the ‘like’ button to ensure you’re alerted when new comps & giveaways go live, when the hottest YA novels are about to hit the big screen and get to know the authors of your fave YA reads via The Escapist’s online interviews. Head there right now and you might just be quick enough to win yourself a copy of Disruption by Jessica Shirvington.